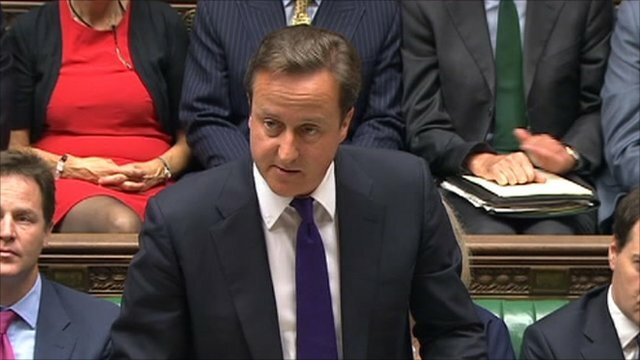 Prime Minister David Cameron cannot ignore the legacy of Britain’s colonial history in the Arab world as he begins a new war against ISIS in Syria. British imperial interests convinced Winston Churchill to create the Kingdom of Iraq in 1920 and import a Hashemite prince from the Hijaz to rule the new state composed of Arab Sunnis, Arab Shiites, Kurds, Turkmen, Yazidis and numerous other ethnic/religious factions. Britain issued the Balfour Declaration that enabled large scale Jewish settlement in Mandatory Palestine under its League of Nations mandate. Britain and France invaded Egypt during the Suez Crisis of 1956 in an attempt to oust that country’s popular leader, Gamal Abdel Nasser, for nationalizing the Suez Canal. Britain joined the NATO air strikes that overthrew Libya’s Muammar al-Gaddafi. Tony Blair’s Britain was the junior partner when in 2003 George W. Bush invaded Iraq and decapitated Saddam Hussein’s Baathist regime. Immigration, European integration, alienated minorities, the rise of terrorism, the jihadi threat, the refugee crisis; all these are explosively controversial issues in British politics. Public support for the Tory government’s pledge to admit 20,000 Syrian asylum-seekers from refugee camps in Turkey, Lebanon and Jordan has plunged since November’s Paris attacks. Since then Britain and France have made a strategic decision to escalate their participation in the US-led air campaign on ISIS’s “Caliphate”. Britain’s intelligence services have warned that the UK is vulnerable to ISIS attack, in a manner reminiscent of the “propaganda deed” variety of mass terror once pioneered by anti-Tsarist anarchists in Romanov Russia. While the RAF has flown limited sorties against ISIS in northern Iraq, David Cameron has now extended the list of targets to ISIS-held positions in Syria. Britain has still not recovered from the lies and losses that accompanied the Blair-backed intervention in Iraq in 2003. As in the US, the British public has no appetite for participation in yet another Middle Eastern war. Nevertheless, there remain Westminster MPs and Whitehall officials who urge the deployment of British combat troops to “degrade and ultimately destroy” the jihadists, to use President Obama’s phrase. Labour Party leader Jeremy Corbyn has even faced a parliamentary revolt over his opposition to air strikes in Syria. Although British warplanes have joined French and American jets in bombarding ISIS in Syria, it appears that few in the halls of power are yet persuaded of the unfeasibility of an anti-ISIS strategy that relies solely on airborne attacks on the “Caliphate”. After a dismal decade of war in Iraq and Afghanistan, the British political establishment is surely aware that a ground war against ISIS would be long, bloody and hugely expensive – not to mention politically impossible barring a major attack on home soil. Paradoxically, however, whenever the RAF bombards Raqqa, the risk of terrorist retaliation in Britain itself increases. ISIS’s public image to current and prospective supporters is partly defined by the incessant digital threats of vengeance against the “Crusaders”, notwithstanding that King Richard the Lionheart died eight centuries ago. British jihadists, such as Jihadi John, the pitiless executioner of Western journalists and aid workers who has appeared in a number of the terrorists’ snuff videos, hold important posts within the organization. Such fighters’ potential homecoming posits a serious threat to the security of British civilians, while domestic radicals who have not taken part in the Syrian jihad also pose a threat. After all, the perpetrators of the 7/7 attacks of 2005 were homegrown jihadists of South Asian origin, and carried out their atrocities a decade prior to the emergence of ISIS. Since British jihadists at home and fighting in the Arab world number in the thousands, the risk of terror attacks will continue, as even MI5 and MI6 now accept. David Cameron does not believe he has a choice, however. Britain must help destroy ISIS before its agents carry out a Paris style terror attack. A century after Britain fought Ottoman armies in Iraq and Palestine, it is at war again in the Arab world. 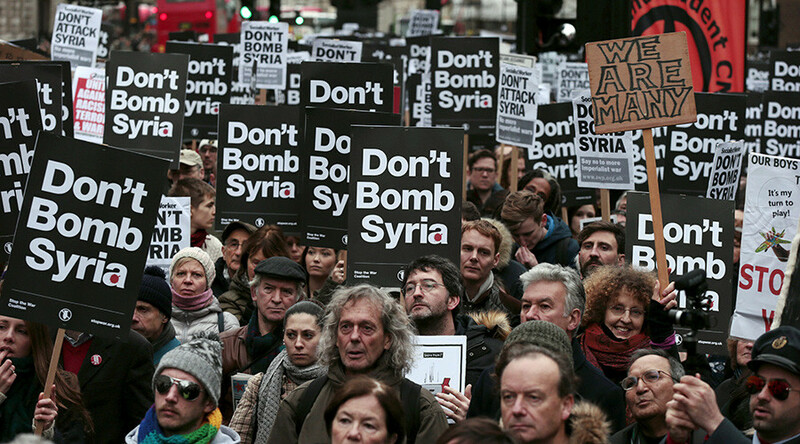 British airstrikes alone will not change the political and military realities of Syria. With 250,000 killed, the Syrian maelstrom has produced the worst refugee crisis since World War Two and has already brought unimaginable destabilization to the Middle East. Put simply, the Syrian civil war has morphed into the most pressing security and humanitarian crisis in international relations. Despite the Vienna peace talks and the recent warming by the belligerent sides’ respective external sponsors towards the idea of a potential “political transition”, the Assad regime and the main rebel groups have not accepted even the concept of a diplomatic solution. The ISIS Caliphate is also not going to disappear with Allied bombing attacks alone. Even after Paris, the Obama White House and the American public have no appetite for any significant deployment of ground troops in yet another bloody counterinsurgency nightmare. In any case, even if US (or Allied) troops were to seize Raqqa, ISIS will not disappear – just as the Taliban did not disappear after the US overrun Kabul in November 2011. The real hope to contain ISIS lies in Great Power diplomacy, not just a military seizure of Raqqa. Of course ISIS must be confronted and destroyed in Libya, Afghanistan, Yemen, the Sinai, Mali and Iraq. The West’s failure in Iraq and even post-Gaddafi Libya has created a monstrous regional threat to friendly Arab regimes and contributed to the breakdown of sectarian coexistence in the Middle East. Yet despite state building and multilateral diplomacy being dirty words to the Republican Party’s right wing, this is precisely what is needed to reach durable anti-jihadi political settlements in the Middle East. Given the sheer gulf between local interests and the infusion of several diverging external interests into the conflict, from the rivalry between Saudi Arabia and Iran to the West’s standoff with the Kremlin, Syria will be even more difficult a state to rebuild than Iraq ever was. There is no Syrian Kurdish “Peshmerga” solution to retake Raqqa, let alone Mosul. The West should not forget the collapse of the US-built Iraqi Army in Mosul or the failure to find “moderate” rebels in Syria. The West, and especially Britain, should not forget Von Clausewitz’s words- “war is politics by other means”. Sarie Khalid is a U4 student currently pursuing degrees in Economics, Political Science and Islamic Studies. An Indian-Pakistani by heritage, Sarie specializes in Middle Eastern and South Asian politics, international security, geo-economics and energy markets.